For me, ever since I switched my focus from the fixed Web to Mobile in 2000 it has been the year of Mobile that never really permeated in to mainstream media. I think the reason for this is simple yet not seen as obvious to most, as Mobile as a communication device has played in two main streams since the first voice call in 1946. Firstly the mobile phone was used as a person to person voice communication device and the secondly as a personal information device much later on. The mobile phone was also a device that was provisioned and controlled by Telco’s which meant that each device was configured and setup just the way the Telco wanted and was considered a walled-garden approach. Around 2007 they even went as far as making people think that mobile data was extremely expensive so they could continue to saturate the voice/SMS market while formulating a mobile data strategy. In media circles most people saw Mobile as a “fad”, arriving with mass hysteria causing extreme excitement and leaving their lives not long after. How could such a small media device disrupt the behemoths that were TV, radio, print and of course the PC based Web? Well mobile is far from a fad and has been building a momentum for over 50 years and that is why there has never been “the year of mobile” and never will be. The mobile medium is now in the hands of most of the world population, for many it is their first screen ever and it was thought that it would pass the fixed internet in 2014 and in fact did so in 2011. The business models of companies like Google, Apple, facebook, RIM, Yahoo etc. have started a massive shift over the past few years because of it, in fact Yahoo’s future may rest in how they place their mobile strategy into the market. Facebook more recently purchased Instagram for $1Billion to attempt to add more weight to mobile against its fledging S-1 SEC filing and immanent IPO. Facebook has one business model and that is advertising, and what worked on the 3rd screen (desk/laptop), does not carry over to the 4th screen (mobile), the real estate and time on screen is completely different. The mobile device is used as whole bunch of tools that allow you to quickly find out things or be informed of things you need to know, browsing on mobile is rarely done unless you are on the mobile Web e.g. facebook or news site. The term “there’s an App for that” came about because Apps were about tools that made your life, job, relationship, anything better, they are small in size, huge in functionality have a touch user interface and reside on your phone for you only. Mobile App and cloud innovation will drive real value in the years ahead for the Internet giants, characterised by consumers using devices to capture and share their lives with each other, and having no need for desktops or laptops to do so. Web 2.0 is done. Over the past ten years people have arrived on the Net and setup accounts on Webmail, banking, travel and more recently Social sites like facebook. These Web services happened mainly because anyone could do it…setup a LAMP based Server in the corner of your bedroom, hack some code together and you could serve up anything. Facebook itself has enjoyed that ride however once they go public it’s a very different ball-game, one in which Mark Zuckerburg will not enjoy. When the exits start happing, shareholders to satisfy and board level voting, innovation dries up and users leave in droves. Google struggled with this however managed to keep progressing with new product development while the search opportunity hung on to survival. facebooks new product development has waned as they struggle to maintain a framework which many are building on like Zynga. I personally see facebook as an “apprenticeship” for Social media allowing people, ad agencies and new developers alike once they have the hang of it they will transition to other platforms that fit the bill even their own in Zynga’s case. If Lady Gaga’s littlemonsters.com social network can attract 40 million people then where do you think the brands are going to go to attract that demographic? Google co-founder Sergey Brin is worried about the future of the Internet, and not just because of censor-happy regimes like China and in the Middle East. He sees walled gardens like Apple’s iTunes, iCloud and facebook as deterrents from the Open Web and in fact believes that they would not have built Google today. It is impossible to robot crawl native mobile Apps and proprietary framework data today. Other factors like CISPA making it very easy for a company like facebook to hand over users private information to the government without any due process. The most interesting markets to watch these days are the Asian markets, they are absolutely mind blowing. The Chinese market increased threefold over last year’s second quarter to $12.4 billion. In fact that falls just short of Apple’s previous complete year revenue from the prior year. And this is without the country’s largest carrier, China Mobile, offering the iPhone to its 600 million subscribers. We now live in a world that is truly mobile where teenagers gaze at desktop PC’s in wonderment the same way I did at typewriters, where developer conferences are sold out no sooner than they are announced months before they open and Apple can sell 67 million iPad’s in less than two years where it took them 24 years to sell the same amount of Mac computers. With the imminent cover of LTE upon us the children of today will enjoy seamless communication with speeds around 100m/sec and wonder how we all managed in the wired world. Is the CPI “cost-of-living index” flawed in the Digital Economy? Watching the TV the other day listening to more bad retail news with reports coming in that the latest CPI index has risen 3.7%. This got me thinking, how is this index measured and does it take into account the people making purchases online? I then wondered how this information was gathered, and found this “Prices for more than 2/3 of specifications are collected on a monthly basis, overwhelmingly by direct observation by trained Field Officers.” I am pretty sure these “Field Officers” don’t surf the Web to check the cost of purchasing a fixed basket of goods and services. The CPI is a measure of pure price change (i.e., price change excluding the effects of any change in quality or quantity of the goods or services concerned). The objective is to measure each quarter the change in the cost of purchasing an identical basket of goods and services since the previous quarter. Because, in the real world, the qualities and quantities of goods and services available for consumers to purchase are continually changing, a substantial proportion of the effort of compiling the CPI goes to assessing the effect on prices of these changes and making appropriate adjustments before compiling the CPI. Is it fair to assume that the average Australian purchases everything in bricks & mortar stores? 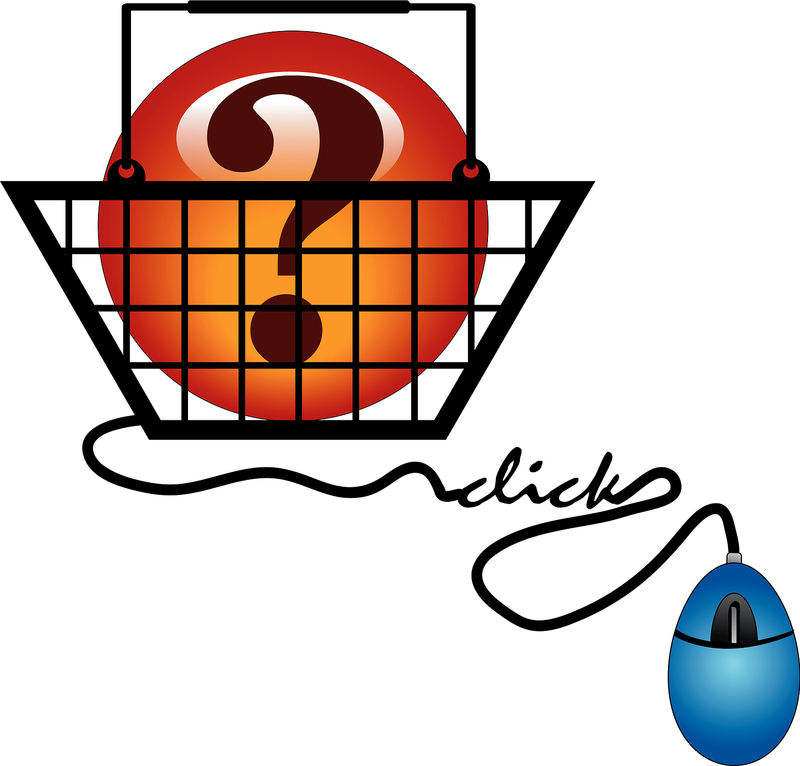 Maybe it is however there is a huge online market going on that is estimated to be worth $30Billion this year (2011). Also add to the fact that many new e commerce stores are online only such as eBay, oo.com.au, Amazon, Kogan, Fishpond, TopBuy etc. so how are their prices added into the equation? Should there be a DCPI (Digital Consumer Price Index) as well? If the Australian Parliamentary Library states that “The benefits of e-commerce to the economy in terms of reduced costs, higher quality, new products and larger markets are significant”, then why isn’t it measured as part of the CPI? And as the CPI is a direct factor of inflation and therefore interest rates then the whole economy may be on a shift from where it really is. Is it possible that the cost-of-living in Australia is actually in a better state then we think? It amazes me how many retailers inAustraliasimply ignore what is now possible using digital and especiallyMobileto drive foot traffic and revenue. What I tend to find is that most efforts of late are focussed on building e commerce capabilities, (apparently to curb the shift in offshore purchasing), and also the continued email marketing and now with some social media thrown into the mix. I would have thought that retailers would want to drive people into their stores rather then send them online, and email marketing is so 2002. I believe that shopping is an experience and many women I know go shopping not necessarily to purchase a particular item yet for the experience, much like I would head to the local pub with my mates. I also strongly believe that if fixed Internet Web sites have made people shop in their PJ’s, then it will be the Smartphone that will drive them back to the shops. Using location services such as Geofencing along with digitalMobilecoupons, Social integration and price comparison Apps the Mobile phone becomes a wand while shopping. Shop assistants will all have tablets and will check stock, sign you up to the loyalty program, push a coupon to you and even take payment even via PayPal before you can say “what’s on special”. Today Google launched “Google Wallet” which offers a NFC payment solution however only in the US for now and one handset, one credit card company and a few retailers. They have however integrated this with Google Offers the group buying offering. A lot of the hype with NFC is around the payment side however the loyalty and rewards side is where it gets very interesting, now consumers armed with a Smartphone can view points, rewards, past purchases, pricing and store visit history and the list goes on. Recent data shows only 35% of retailers have a documented business plan to navigate the industry’s current and future challenges. The just released ‘Business of Retail’ report, compiled by Financial Review Business Intelligence (FRBI), shows 20% of surveyed retailers have no strategy for the future of their business. A further 45% of respondents have a business plan but have not committed it to paper, while 35% actually have a plan and have written it down. 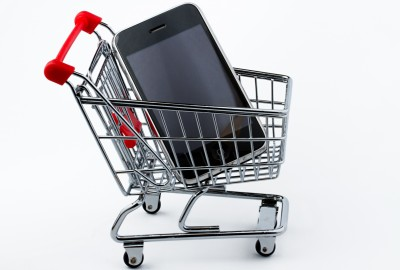 A recent study ofUKshoppers has found that consumers now prefer shopping via their mobile device rather than over the PC internet. And the difference is very strong: for users aged 25 to 35, mobile is preferred 3 to 1 over regular online! It is not too late at all for retailers to reinvent themselves however the time is now to start. I have personally been in what is known “digital” industry since the birth of the Internet back in 1991 when Connect.com.au was born with Hugh Irvine and the boy’s, and Mobile since 1999 working for Connect. The next year on March 10th exactly on the day of writing this, the “Dot-com Bubble” burst and everything in and around it came crashing down. Over 1999 and early 2000, the U.S. Federal Reserve increased interest rates six times, and the economy began to lose speed. The dot-com bubble burst, when the technology heavy NASDAQ Composite index, peaked at 5,048.62 (intra-day peak 5,132.52), more than double its value just a year before (almost where it is today). In the 90’s I witnessed the careless, ill-informed investment and capital raising that was ripe and wondered what they actually did with all that cash, I mean how does a start-up with 23 staff most coders burn $40M in a year? I also questioned how an Internet start-up could be valued at $500M without a clear business model that actually generated revenue. Always the question was glazed over where does the income spawn from dispute having millions of users that access the service for free? Back then and to some degree today the financial suits and the VC’s to some extent pump up the value and head straight for EXIT stage left. Now here we are today with Internet company’s valued by what I call the “$80 p/user rule”, where valuations seem to equate to $80 per user e.g. Google 600M Users @ $80 = $48B, Spreets 500,000 users @ $80 = $40M and so on. Today we have whole generations that grew up with the Internet and most people grandparents are using the channel so people are a lot more aware of what constitutes value. In order to succeed today you must offer clear value that is unique at an easily digestible cost. SaaS running from the Cloud or Cloud services is the answer, something not possible until lately due to language developments and bandwidth for example. I might suddenly need to send a Fax to a government department as that is the only option I have, but I don’t have a Fax machine, I can now browse to http://faxzero.com/ attached the files and send. It’s all about subscribing to software services when you need them, not purchasing shrink wrapped software and installing on local drives. There are literally thousands of Cloud services models on the Net and for a few bucks a month you can subscribe to a robust accounting, publishing, and project management etc. service. The demand for talent is at unprecedented levels. Companies like Google to Facebook have developed a strategy around acquiring companies simply to bring good entrepreneurial talent in-house to supplement R&D. Value of talent seems closely aligned with the rate of innovation, and this pace is only increasing. There are more elephant hunters out there. Angels probably don’t care if they pay up for the right company/team as long as they have a shot at oversized valuation and a smart exit strategy. We may be heading into another bubble. It’s possible we’re already inside it. 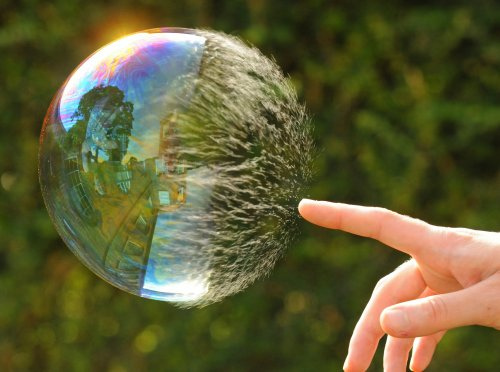 However I feel that if in fact there is a bubble it is likely to implode on its self as most of the money on the table right now is money is from angel, private equity and VC’s, in 1999 it was IPO led involving public investors. Those public investors looking for a nice ride are a lot more courteous these days for good reason. At the end of the day as my father always said “sales run the shop” so people will look for a clear business model that involves a steady stream of revenue, the market is there now with 3 billion connected people (fixed/Mobile Web).